Why Use the Slip Stitch? The slip stitch (also called a ladder stitch or an invisible ladder stitch) is a hand-sewing stitch that's used to close an opening. When done correctly, you shouldn't be able to see the stitch once it's finished. You should use the slip stitch when you want a stitch that can't be seen or when you want to close up an opening that you can't reach with your sewing machine. 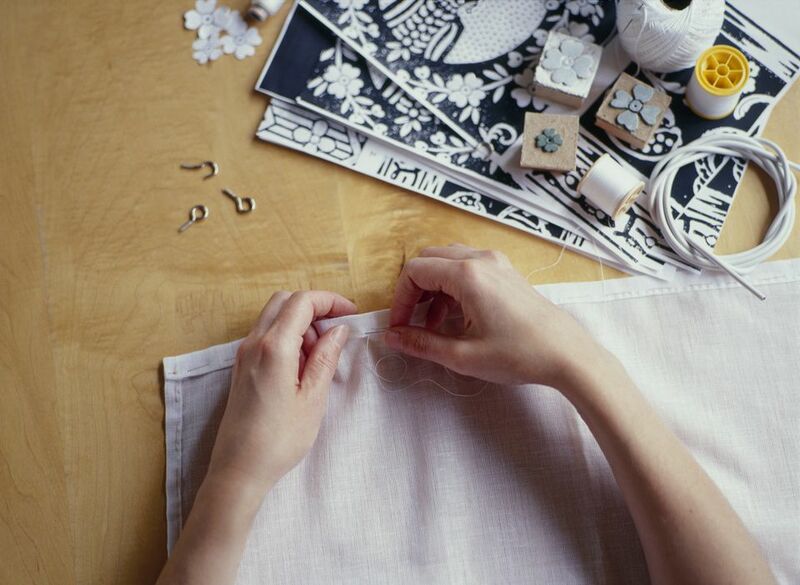 You're most likely to use a slip stitch to close a lining, mend a seam, hem a garment, attach a binding, apply applique, and close a pillow cover, just to name a few. To make a slip stitch, you'll need just a few supplies. Note: I'm using a contrasting thread here so you can see my stitches. You'll want to use a thread color that closely matches your fabric. Before you can slip stitch, you'll need to thread your needle. Double your thread and tie a knot at the end. Snip the thread under the knot if needed, so you have about 1/4" thread tail. Getting your closure ready is a step that most skip but it's the secret to getting an invisible slip stitch closure. Take whatever it is you need to slip stitch and fold the fabric inside the closure to match your seam. Press with your iron or finger press to make a nice even fold on both sides of the fabric. To start the slip stitch, you're going to first hide your knot. Starting on one side of the closure, insert your needle inside one of the folds, being careful not to come through the outside of the fabric. Bring your needle back out through that fold, towards the middle of the closure. Pull the thread through, until the knot is hidden in between one of the folds. Now that the knot's hidden, it's time to start stitching. Bring the needle to the opposite fold of where your knot is, and insert it into the fold. Bring the needle out of the fold, a 1/4" or less away from where you just inserted it. Be sure not to catch any of the outside fabric when you make your stitch. Pull the needle and thread through to complete your first stitch. Repeat the slip stitch you just completed on the opposite fold. Continue making slip stitches in the same manner, working back and forth between the two folds. Keep making slip stitches until you get close to the end of the other side of the closure. You'll notice that the thread goes back and forth between the folds, looking like ladder rungs. This is why the slip stitch is also called the ladder stitch. Once you've reached the end of your closure, it's time to knot your thread and secure it. 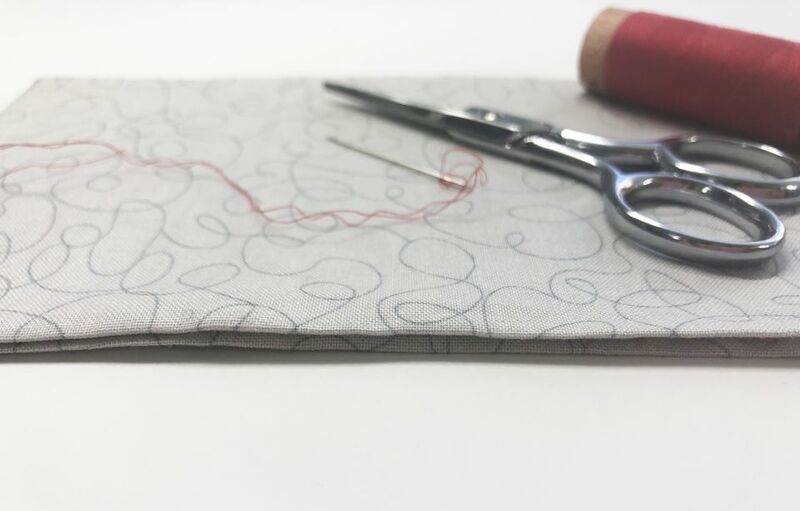 Grab a small amount of fabric inside the fold with your needle and pull your thread through just a bit, not all the way. You'll now have a thread loop that you can use to make your knot. Insert the needle through the loop and pull through to create a knot. Make one more knot, in the same way, to really secure your stitching. Trim the thread close to the knot. If you peek inside the closure, you may be able to see your stitches, this is fine, and why you chose a matching thread. Give the closure a final press to close. This will make your closure nice and crisp and hide any stitches that may be peeking through. Tips and Pointers to Sewing Your Own Clothing! What Does Easing Fabric Mean and How Is It Done?